Paul Heyman continues doing media to promote the WWE Madison Square Garden Network event. Heyman recently talked about a number of interesting topics, one of particular interest being the declining WWE RAW ratings. They don’t call Paul Heyman the evil genius for nothing. 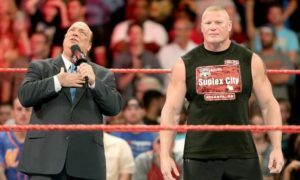 The advocate for Brock Lesnar was recently asked about the record-low ratings for Monday Night RAW and in typical Heyman fashion, hey provided an interesting answer to Channel Guide Mag Blog. “I think if there is erosion in the ratings then we are in a cycle within the industry where fans are going and looking for or finding other interests,” Heyman said. ‘Well, we haven’t replaced everybody that is left. The ratings didn’t double.’ I’m not expecting that type of increase tomorrow or the next week or the week after that. Any business with longevity, and this is the one company in the business that has survived, deals with this. They survive because when there was an erosion of the audience and they had to replenish the audience, there isn’t a panic. Panic is never the answer. Panic never brings up the ratings. An interesting answer from a guy who knows a little something about building new stars. I think that Heyman is right but he is missing the bigger problem. The problem isn’t promoting new stars. 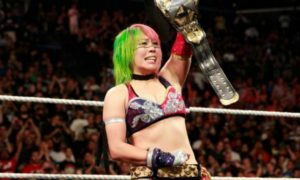 Arguably, the WWE has more fresh faces on their main roster than they have in some time. The problem is creating these new stars and booking them optimally for the long haul. None of the new stars on the roster today will pay dividends in a couple of years with the way they are being booked today. It wouldn’t be a Paul Heyman interview if he wasn’t asked about Brock Lesnar vs. Steve Austin. While not asked directly about the match, Heyman was asked about Brock’s plan for WrestleMania 32. Heyman isn’t ready to commit to anything. 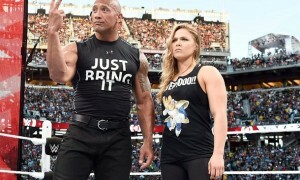 “Who does the audience want Brock Lesnar to face? 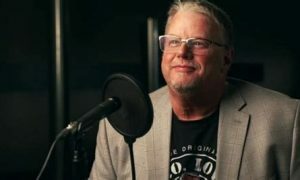 Who will the audience be willing to pay or to subscribe to the WWE Network or buy a ticket to see as an opponent for Brock Lesnar? What will entice the audience to spend the most money? That is how I would approach any suggestion I would have as Brock’s next opponent. Is there someone that intrigues the audience as to what would happen when they stepped in the ring with Brock Lesnar? 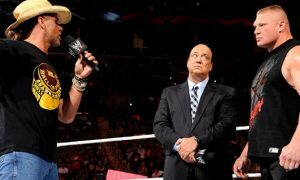 Check out the entire interview for more as Heyman talks Brock on the Austin podcast, WWE at MSG, his relationship with Brock, and more.